Working on goLance has been the most wonderful opportunity for me and my family. My wife, Olga, also works through goLance and loves it, too. Pavel has an incredible work ethic and thrives on the flexibility of doing business remotely as a freelancer and manager of an agency that does website development, systems administration, and coding for a variety of industries. He wanted to take on more clients to expand his business but needed to bring in other people in order to scale quickly. This required being able to find the best talent for his agency and using a comprehensive, flexible, platform that would eliminate the tedious manual efforts involved in time tracking and billing. The goLance platform saves Pavel many hours of work each week because he doesn’t have to do reporting and billing manually. The portal provides everything you need. The goMeter tracks the time his contractors work and is integrated with the goLance platform, which processes the payments. 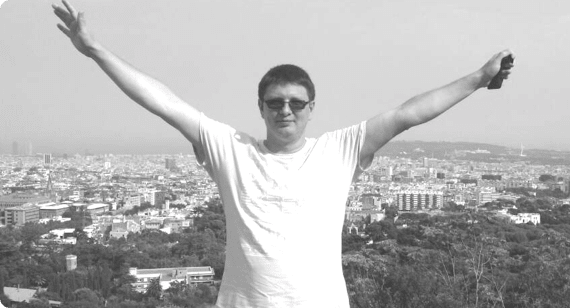 Pavel and his team support many clients, and all of them reached out to him from goLance. He can support clients 24x7 because goLance has made it possible to manage a global, distributed workforce. The goLance support team provides fast results and excellent service, which are so important in helping his agency deliver high-quality services to customers on time. Pavel’s contractors who use goLance appreciate the opportunity to find work with low-cost fees, a reliable platform, and fast payment. He has referred friends to goLance, it has helped them to find work, and Pavel also receives commissions for these referrals. goLance has helped me to broaden my experience and grow my business. I like coding, but thanks to goLance I now have opportunities to do development and manage people. It’s exciting to be able to combine those skills in my work. Although Pavel had worked in a corporate environment for many years, he wanted more flexibility and opportunities for growth. He also wanted to be free to travel and not be restricted to being in a single location. These objectives motivated him to start as a freelancer, hire a team, and eventually become the owner of the Atomic Webzone agency. The agency specializes in web development, web marketing, and systems administration and is focused on building applications and websites for a variety of industries worldwide. goLance has everything you need to get fast results. Find the expert you need now! Hire validated and tested freelancers from all over the world. Manage the entire project with goLance. Pay securely with ease. No upfront payment, no hidden fees.